However, before 1961, when we were still a Union (not an independent Republic), the faces of the reigning British monarchs (King George V and VI and Queen Elizabeth II) were depicted on our coinage. But since 1961, the faces of Verwoerd to Mandela graced our metallic (and sometimes paper) currencies. During the period 1910 to 1960, very few of the profiles of our political leaders were shown on any numismatic items (coins and medallions) as far as I could ascertain. So I did a little study about this. Guess how many contemporary (during his life-time) numismatic items I could find depicting the first Prime Minister of the Union of South Africa and the Commandant-General of its military forces during the First World War Period? 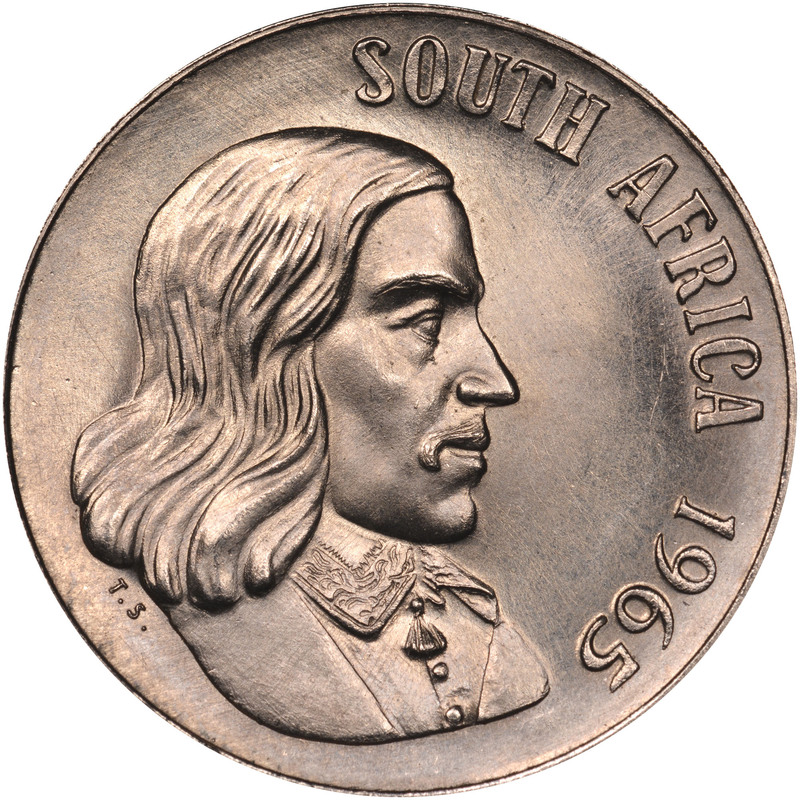 Maybe someone can add some additional contemporary medallions of Louis Botha? When Louis Botha died in 1919 he was succeeded as Prime Minister by Jan Smuts who was ousted by J.B.M. Hertzog in 1924. Ironically, Hertzog was replaced by his old rival Jan Smuts in 1939. Hertzog as Prime Minister was thus both preceded and succeeded by Jan Smuts. How many numismatic items are dedicated to JBM Hertzog? The following two pin badges are the only items, remotely numismatic, that I could find on Hertzog as contemporary pieces. So as was the case with Louis Botha, numismatic Items relating to JBM Hertzog are few and far between – maybe someone can post more examples (if there are any)? I like the portraits of the British monarchs a lot more than those on RSA coinage, all of them. (I like the Kruger portrait but less than KGV and QE II.) Some of it is due to the size and metal content but hardly all of it. Your coinage is better for having the designs it previously did and I believe it would be less popular if pre-RSA political figures had been used instead. In general, I dislike most portraits of living or historical persons on coinage. Those on US coinage are particularly abysmal. The best looking profile on our SA coinage is that of King George V.
Unfortunately we missed the profile of Edward VII by 13 years - he really looks good on coins and stamps. I wonder how widespread your opinion of the QEII "Young Head" portrait is shared. I consider it one of the best 20th century designs. I like it enough that I bought the Canada Golden Jubilee dual dated (1953-2003) proof set and I essentially never buy anything outside of my small group of series. I don't really care for the Edward VII portrait, though I do wish the SA Mint had started issuing coinage prior to 1923. The KGV portrait on British coinage (bare head) isn't attractive to me either and the one used in New Zealand and Southern Rhodesia far less so also. I would say that Smuts would be in the lead when it comes to medals etc issued. I prefer the bare headed Elizabeth. This profile was also used on stamps and was a neat design. Although I'm not convinced that using portraits of persons on coins is good thing, I suppose it serves as a shorthand reminder of history. I think it's more traditional than anything else. A throwback to a era where subjects needed to be reminded of who their king, queen, keiser, emperor was. Especially during the era of constitutional monarchies, where kings and queens aren't running the show anymore. One would have thought that an international revered statesman like Jan Smuts would see many medals/medallions struck in commemorating this larger than life figure, but guess what? Like Louis Botha and JBM Hertzog, actually very few numismatic items are found with his profile/effigy. 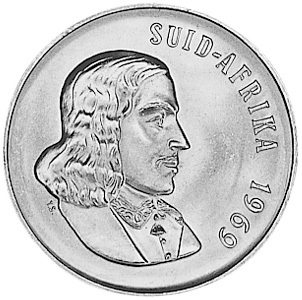 I could find only one truly contemporary medallion and three semi-numismatic items honoring Jan Smuts during his life-time. How it is possible that an international statesman could have this few numismatic items honoring him? Amazing! Please note that I am not referring to medals bestowed on him by Governments (Field Marshal Smuts was honored with various orders, decorations and medals from several countries) – I am talking about general commemorative numismatic items. I wonder if that 1969 date was ever struck? Don't forget those bronze pen knives that had the four prime ministers portraits. Smuts, Botha, Hertzog and Verwoerd if I'm not mistaken. I don't believe any of the Union portraits were designed to endure circulation wear, at least from a collector standpoint. There are any number of designs from elsewhere (portrait and otherwise) which I and most other collectors find appealing, even in low or very low grades. I don't find any of the Union portraits appealing below a minimum grade of XF. While my experience on this forum indicates that financial considerations are a lot more important in your country than elsewhere, I believe most South African collectors probably have a similar though not identical view to mine. Part of this may be from poor preservation due to the limited collector base, as practically every single circulated coin appears to have been dipped or cleaned. I make this statement because hardly any are attractively toned. This to me accounts for part (though certainly not all) of the reason why quite scarce but circulated Union coinage sells for such low prices. The United Party and is leader, Jan Smuts, was ousted in 1948 by the National party of Dr. DF Malan. Like his predecessors, it seems that very little medals / medallions were dedicated to him. I could find only one voting badge and a set of medals struck in 1974 for his centenary. Malan was followed by Johannes Gerhardus Strijdom (15 July 1893 - 24 August 1958), nicknamed the Lion of the North, who was Prime Minister of South Africa from 30 November 1954 to 24 August 1958. Again, very little medallions /medals of him are known – here is a contemporary and a non-contemporary medal of JG Strijdom. Interestingly enough, here is an old picture from our old family album taken in 1894 – the little boy (number 13) was my grandfather (Charles Henry) and to his left (number 4) sits his much older sister with a little baby boy in a white Victorian dress on her lap. That boy is J.G. Strijdom. The next picture shows Strijdom’s wife at his funeral in 1958 being consoled by her brother with his son standing just behind him with his face only partly visible. That boy, just like his uncle, became leader of the National Party and the President of the Republic of South Africa – F.W. de Klerk. His effigy was shown on the silver R1 Protea of 2007 as part of the Nobel Prize winner-series. Verwoerd was the last Prime Minister of the Union of South Africa as we became a republic during his term in 1961. Quite a few medals / medallions of him exist, but, like his predecessors, most were struck after his death. The last picture shows some medallions showing various prime ministers together - the one is the Pocket knife that Cold Sea was referring to but strictly speaking, probably not a numismatic item? After 1961, when we became a Republic and were not part of the British Commonwealth anymore, the profiles of our political leaders were increasingly used on our coinage reaching its zenith with that of Nelson Mandela from 1994 onwards. I wish you all a happy Christmas and a prosperous 2018 – may all your collectors’ dreams come true. The difficult part is to escape, and pass, beneath the NGC and PCGS radar, and not being caught out for doing that. A prominent collector once told me that if you can clean a coin without it showing some "hairlines" you have "made it"
However, I am not judging anyone, I myself have taken a tooth pick and tried to remove some ugly remainder from coins from time to time and have dipped coins to remove verdigris (that green ugly stuff) on my own silver coins. As a matter of interest, copper coins are almost beyond help - no TLC can save those unsavory copper & bronze specimens showing verdigris. But as jwither said, there are just to many of them (mostly silver coins I guess) having been CLEANED, around.